A blog here, a screen name there, an old social-networking profile or two--the more you use the Web for work and play, the easier it is for others to dig up dirt on you. And while you may not worry much about a few errant comments or tags, you'd surprised at how complete a portrait someone can paint of you with a few quick Google queries. To see what this means in real life, we subjected two brave colleagues to the 30-Minute Google Challenge. Armed with our targets' full names and personal email addresses, we set out to dig up as much information as we could: real-world addresses, phone numbers, pictures of them in compromising situations...all that good stuff. What we uncovered might scare you a bit. Even if you're a complete goody two-shoes, it's hard for you to avoid leaving any tracks whatsoever on the Web. That said, we did identify a few precautions that can help you avoid the scrutinizing eyes of a snoop. As soon as I got Editor No. 1's name and email address, I began racing through Google listings, using one tab for her name's search results and another tab for her email results, so that I could toggle between them. Problem was, her email address was a standard first-name/last-name combo, so I didn't have a juicy alternate handle or screen name to work with. After scanning the Google results a bit longer, I found a few older non-tech-related articles that she had written, but that was about it. 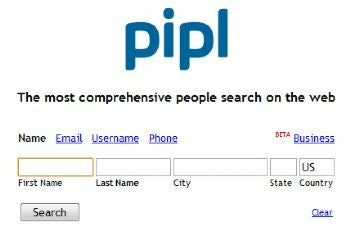 So I headed off to various people-finding services to dig up dirt (pipl.com and CriminalSearches came to mind after reading our "Free Online Background Check" how-to). Alas, she didn't have a criminal record, and neither Pipl nor Spokeo were able to locate her any more precisely than by her current city of residence, which I already knew. With 10 minutes left on the clock, I began scanning through her public Twitter feed in one window and running Google search queries in the other, to no avail. By then, I was pretty sure that Ginny's Google-Fu would beat mine, so I started throwing some Hail Mary search queries out there--[Editor No. 1's name] + scandal, jail, and so on. No bites. Whatever she's done to secure her online privacy seems to be working fairly well, as any would-be stalker (like me) would be hard-pressed to find much without getting her to add me on Facebook or phishing her password. Editor No. 1's reaction: I have a fairly uncommon first name and a garden-variety last name, so I thought Patrick would be able to dig up more dirt on me. I've been a ruthless social-networker since Mark Zuckerberg was still in elementary school: I was on Friendster the first week it went live, I kept a Livejournal in high school, and I've posted on a clutch of music messageboards throughout the years. I've used quite a few online handles and usernames in my life, however. Though they are more or less the same, each one has slight variations in its spelling. For example, my Twitter name is slightly different from my Tumblr name. I also tend not to use my full name on many social networks, and I keep a lot of my profiles locked down. This editor has a fairly common first name and last name, so I thought I'd have a hard time digging up some dirt on him. Sure, I could probably find some incriminating evidence on a different guy with the same name, but that wasn't the point of this exercise (and it isn't any fun). Luckily, he has a unique email address, and I had a sneaking suspicion that he used that handle in multiple places. A quick Google search proved me correct: I immediately found this editor's Twitter account as well as his www.about.me page. The about.me page led me to his YouTube account, as well as a personal blog. From my original search, I also found his Reddit profile. Did this editor know that every single one of his comments is visible to the public? After digging up some serious TMI from Reddit, I moved on to Facebook. I found both a professional and personal Facebook profile for him. His personal Facebook profile provided me with both his phone number and his AIM name. This AIM name was completely different than his e-mail handle, so naturally I Googled that to see if he used it more than once. I found an old, hardly used Livejournal account. I was about to move on with my search, but then I struck gold: One of the entries had a link to his very old Xanga account. I barely even remember Xanga! I was running out of time, so I turned to a search engine built specifically to find dirt on people: ZabaSearch. If you've never heard of ZabaSearch, you should familiarize yourself with it immediately. Basically, it cross-checks various online databases, such as Intelius, Yellow Pages, and Spokeo. From there, it supplies old addresses, phone numbers, names of family members, and other extremely personal information. A search for this editor on ZabaSearch.com led me to the address of the house he grew up in, a view of that house on Google Streetview, his family's estimated income, and his father's name. Yikes. Editor #2's reaction: Honestly, I knew that I had left some pretty revealing stuff attached to my name and handle, but I didn't think Ginny would be able to find so much so quickly. There's plenty of stuff out there I'm not worried about people having access to (I tend to be a rather vocal person on the Internet, and that's fine), but the fact that my home phone number and Google Street View pics of my parents' house and address are so easily available is rather creepy, to say the least. I was also surprised that my name and go-to Internet handle are an entry point to finding my older blogs, handles, comments, and other pages. I used to use completely different handles and names for my Web work and play, so I figured those would be harder to find. Can You Prevent Any of This? The best way to stay out of Google search results, of course, is to stay off the Internet--shut down your Facebook, keep your blogging to pen and paper, and stick to talking on your cell phone with friends. But if you'd rather not go to the extreme of ditching your Web-based social life entirely, you can take steps to stalker-proof your Google records by using different names and handles, keeping your accounts private, and vigilantly deleting accounts you don't actively use. Also, before anyone else tries it, it's a good idea to run a 30-Minute Google Challenge on yourself every now and then to keep yourself honest.